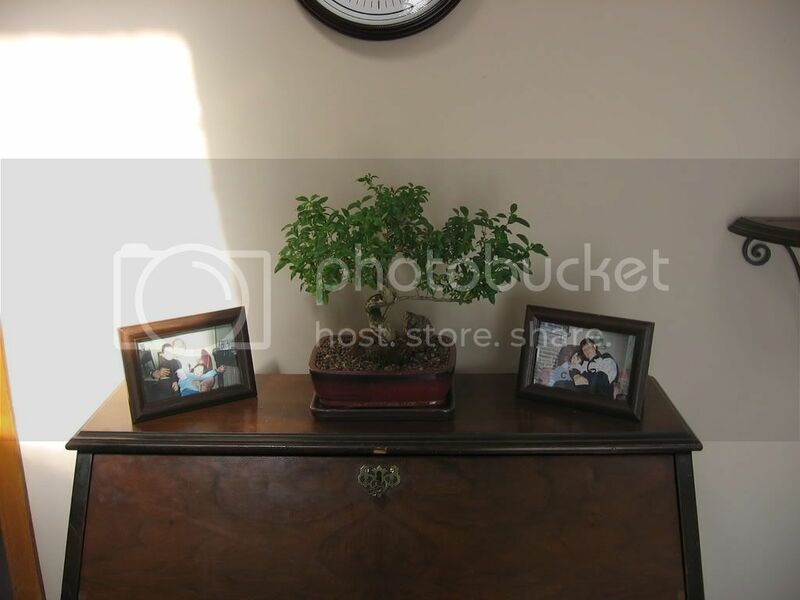 Th ese are pictures of my sarissa foetida bonsai tree, i have had it for just over three months. Last edited by brian on Tue Apr 15, 2008 2:35 pm, edited 8 times in total. That's a beautiful tree. Did you just get it? What's the story? thanks, i have had it for about three months. it was very unhealthy and had almost no leaves when i got it but it seems to be very happy now. 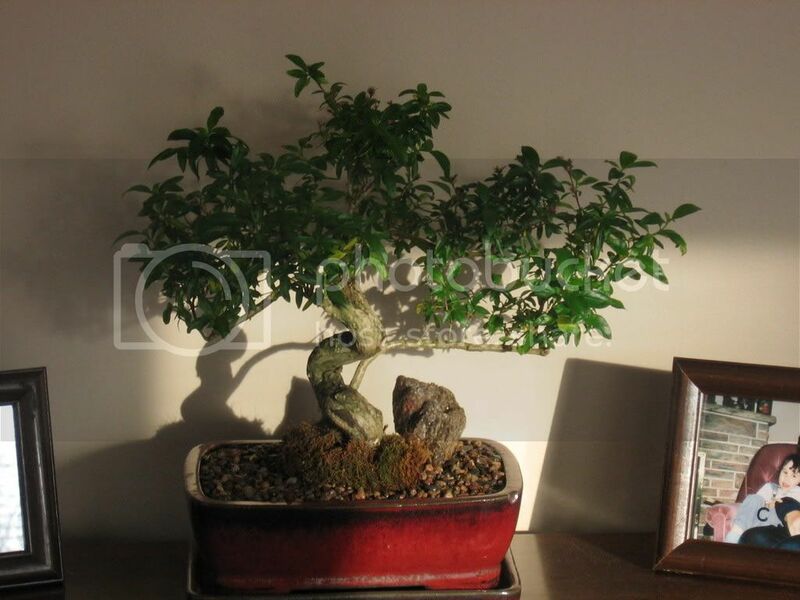 It is my first bonsai and i think i will try growing one from a cutting next. Thanks for your comment. If you feel the leaves, are they sort of tough and leathery and thicker or more soft and pliable and thinner? I'm asking because the leaves on your tree look very much like barbados cherry. That would explain the not flowering. It's funny you should say that. When I saw it I was reminded of Pomegranate. But not growing Serissa I was reluctant to put my foot in my mouth. They are fairly thin and pliable but they do have a leathery feel to them if that makes any sense. 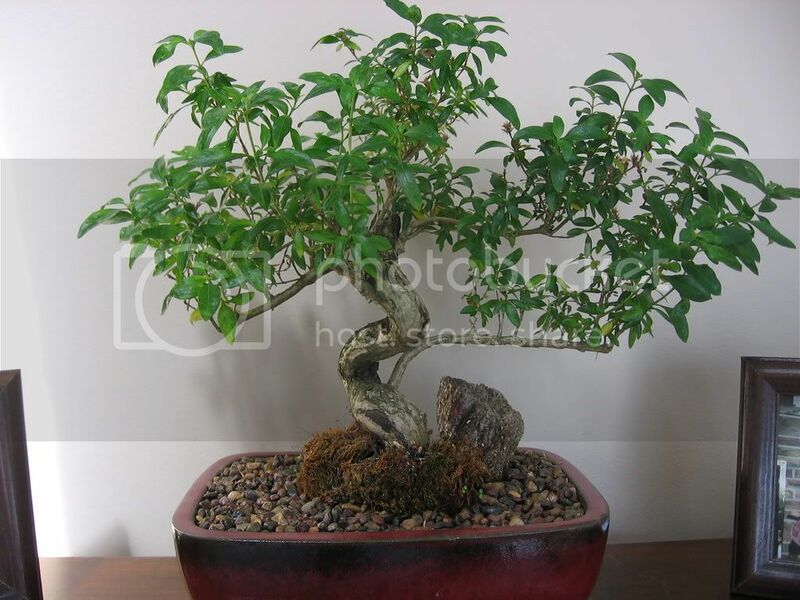 I got the tree from a garden centre and the tag that was on it was from bonsaistore.ca and said serissa foetida. I am very curious to know if you think it is something else? Please let me know. Thanks, Brian. 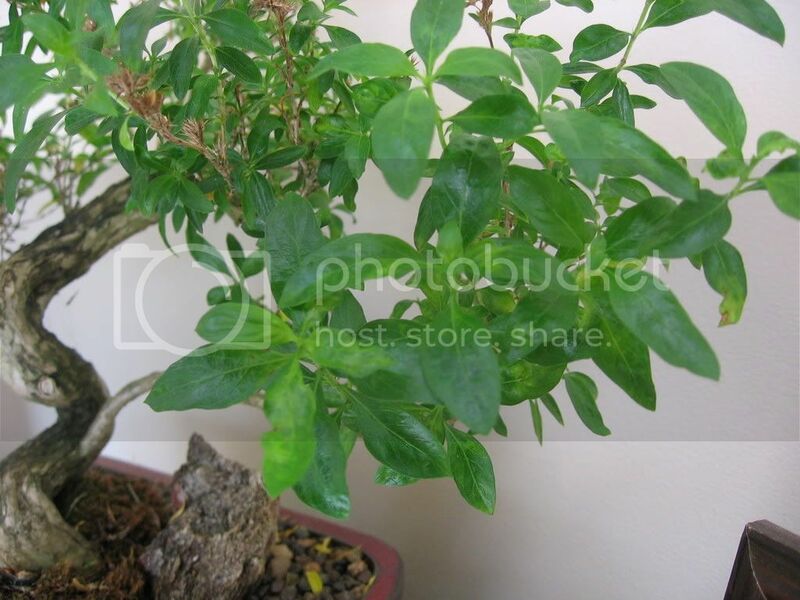 I just added some close up pictures of the leaves, maybe they will help in identifying my tree. The white trunk definitely suggests Serrissa sp. Maybe it's not S. foetida? Maybe a different species? S. foetida, at least all of the types I've seen, have smaller, more oval (not pointed) leaves. Do I see the trunk exfoliating? Here are some better pictures of the trunk. I am not sure what you mean by exfoliating and is that a good or bad thing? Thanks again for your information. Brian. Not sure what variety but it is definitely a sarissa. Possibly "japonica"? 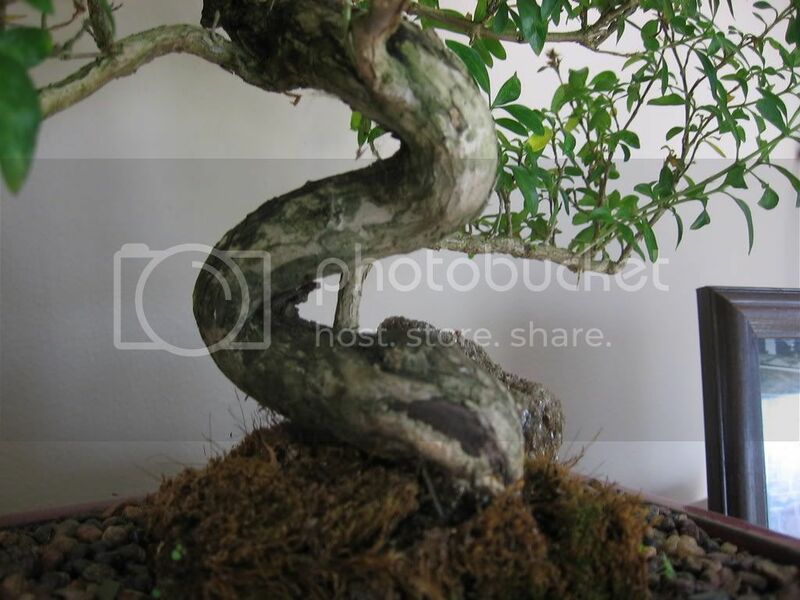 The trunk looks very Serissa-like, but the large-ish pointed leaves throw me. thanks, i started searching and it seems that Japonica is another term used for foetida is this correct because there is so much misinformation out there. I was also surprised to find out that there is like twenty different varieties of Sarissa Foetida and some of them do seem to describe my tree quite well while others are completely different. I am continuing my research and eventually I will figure it out, but even if I don't I can still enjoy my tree! Thans for your help, God bless, Brian. S. japonica is an older synonym for S. foetida, AFAIK. 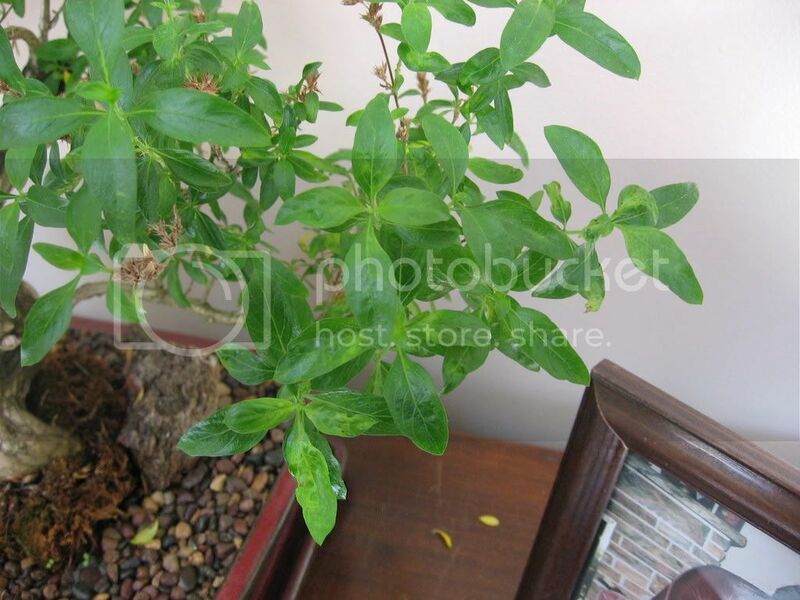 By "japonica", I meant the cultivar/variety currently sold as S. foetida "Japonica". Other varieties are "Pink Mountain", "Flora-Plena", etc. And yes, they have different looks to them, different flower shapes/colors and different leaf shapes. I think it is official my tree is a sarissa foetida and from what i am gathering i need to increase the amount of light it is getting and use a 15/30/15 fertilizer 1/2 tsp. per gallon of water to help it flower. does this sound right? God Bless, Brian. Depends on how often you're fertilizing and, I guess on how bio-available that fertilizer is. I use a 10-9-7 at half strength. Concentrations may differ from product to product, so you may need more or less per gallon of one product versus another. Additionally, with the "how often", how much you use of the product will change. I base mine on recommended monthly dosage on the label. I then mix at half strength, which is Ã‚Â½-1 tsp. per gallon. I go by the quart, though, and I'm trying to fertilize every two weeks, so I use 1/16 tsp. per quart mixed. Once you start using fertilizers, pay attention for any signs of overfertilization, it's better to underfertilize than over fertilize, so erring on the side of caution is a more preferable course. 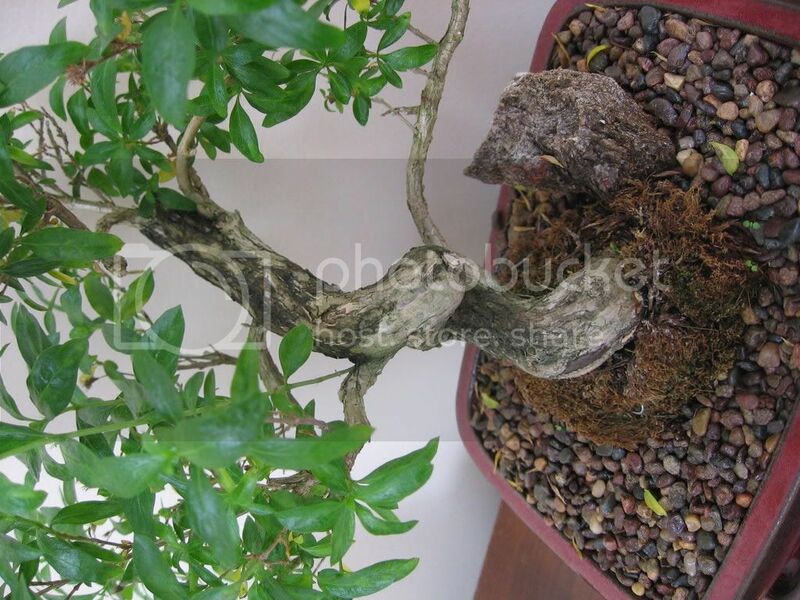 My First Bonsai - Can anyone ID it for me?